Express shipping means: If you order in the next 08:54 hours, we will hand over your package today to DHL, our logistic partner. 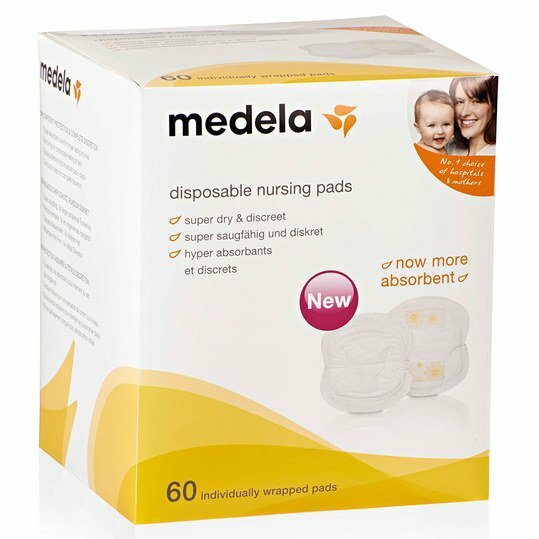 The disposable nursing pads from Medela offer you safe protection during breastfeeding! The material is extremely absorbent. They absorb up to 80 ml of escaping breast milk. Double adhesive strips prevent the nursing pads from slipping. The insoles have a soft inner side for a pleasant skin feeling, are ultra thin and have a body-contoured shape, which offers additional discretion. This guarantees a natural and comfortable fit. 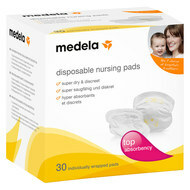 The nursing pads are also individually packaged and therefore ideal for on the move.